18th June 2017 The Northampton Music Festival is a free annual event that takes place in the town centre and is designed to celebrate Northampton’s rich music culture. Now in its10th year, our objective is to raise the profile of Northampton through music; to provide a showcase for the broad range of musicians and artists that are based in the town and to provide a community-focused gathering which invites all to join in a festive celebration of our music scene. 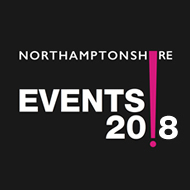 The festival is organised by Northampton Music 365 – a not for profit, community group, in partnership with a range of local organisations.